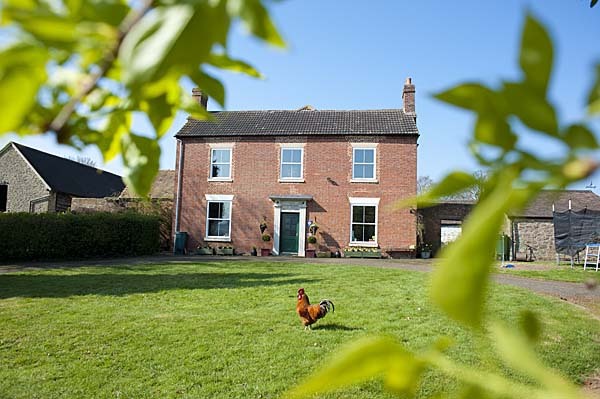 Broome Park Farmhouse Bed and Breakfast is set in a tranquil, rural location, on the border of Shropshire and Worcestershire. We are located only a mile from the small market town of Cleobury Mortimer, famed for its crooked steeple, yet near to the bustling towns of Ludlow, Bewdley and Bridgnorth. A stay at Broome Park Farm B&B is a chance to get away from the hustle and bustle of everyday life and just relax. The guest accommodation is spacious with a private sitting and dining room for the exclusive use of guests. Free wifi is available throughout. There is plenty of outdoor space to enjoy too. Children love the trampoline and zip wire, while parents can relax and enjoy the views across Neen Savage. Broome Park Farm is a working farm providing delicious local produce, if we don’t grow it ourselves we try to source it locally.